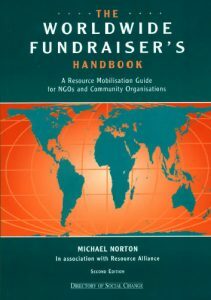 This is a fully revised and updated edition of the essential handbook for fundraising for the developing world (including Africa, Asia, Latin America and countries of Eastern Europe). Using case studies and examples of good practice, it offers guidance and advice on: establishing effective local fundraising; tapping a wide range of sources of funding (including government, companies and charitable foundations); fundraising techniques; good practice; and sources of information and help. This new edition takes into account changes in fundraising practice and includes many new case studies. The book contains: sections on Internet fundraising and on branding and image; a completely updated section on income generation; and guidance on using case studies to illustrate your work. This book should be of interest to fundraisers working to mobilise local resources and funding and for those seeking to support them.